Richard Browning’s vision of Gravity (his new company) is “to build an entirely new generation of human flight systems for commercial and entertainment applications”. Ex-soldier, Browning is re-imagining manned flight in the shape of a real-life Iron Man suit that is powered by small jet engines. “I’m inspired by doing things that haven’t been done before” says Richard. 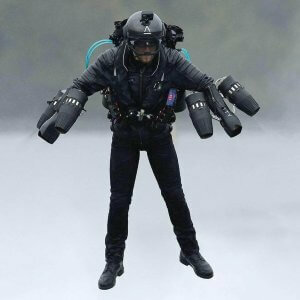 He decided he wanted to fly and has been developing this mark 1 jet-engine suit after the Greek mythological figure Daedalus, the father of Icarus, at his home in Wiltshire. Whilst his jet-pack suit was coming together well, with interest from Red Bull, he was depending on a very rudimentary practice to tell him about fuel level and engine performance. It meant playing it safer than he wanted, to avoid crash landing. Richard came across the head-up display that we were developing for swimmers and asked us if it could be adapted to fit inside his safety helmet. 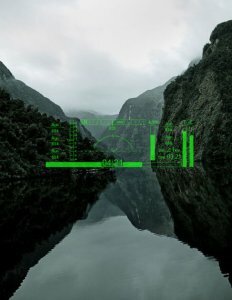 It’s the perfect application for the display technology we are using since the data you need appears to float in front of your eyes wherever you are looking. The thrust that enables Richard to fly comes from six micro gas turbines mounted on his arms and lower back. Though the suit is capable of extreme speeds and altitudes, our innovative HUD design enables him to stay and feel in control at all times. We make products and experiences, unlocking fresh possibilities for individuals and organisations. 30 years of expertise in design and engineering enable us to re-imagine tomorrow, today. The Marvel character himself insists on constantly ‘challenging possibilities’ and it felt like we had met, the real-life British version in person. The TEN difference: The cutting edge of technology reimagines the human experience and boundaries of its possibilities.